Cailín, Leanne and Cara are hoping that you will come to Kilteely on Sunday the 19th of July to help Cliona’s Foundation to break the World Record for the largest number of people making a Heart Shaped Hand Gesture in one place. The record currently stands at 554 people and we need your help to make sure that it is broken. The festival group are going to use this bid to secure badly needed donations for Cliona’s Foundation. The record attempt will take place during the Festival weekend on Sunday 19th in Kilteely at 1.30pm. 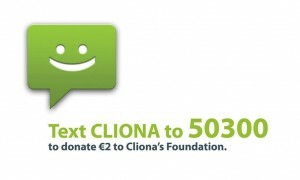 It would be an amazing feat if people would support this on the day, and to break the record for Cliona’s Foundation would be nothing short of tremendous. To be confident that the record can be broken, we are asking people if they intend to participate in the world record attempt to register by texting their name to 0873996562. 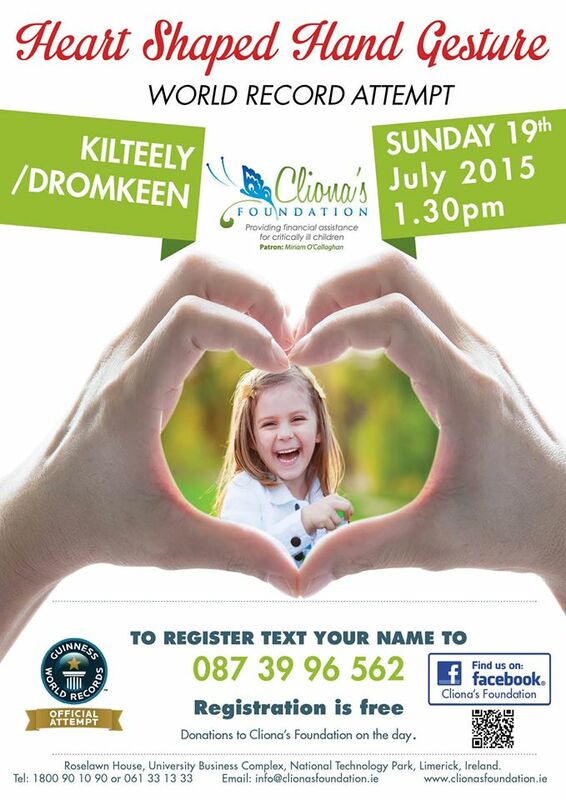 Registration is free but it is hoped that people will give a donation to Cliona’s Foundation on the day.